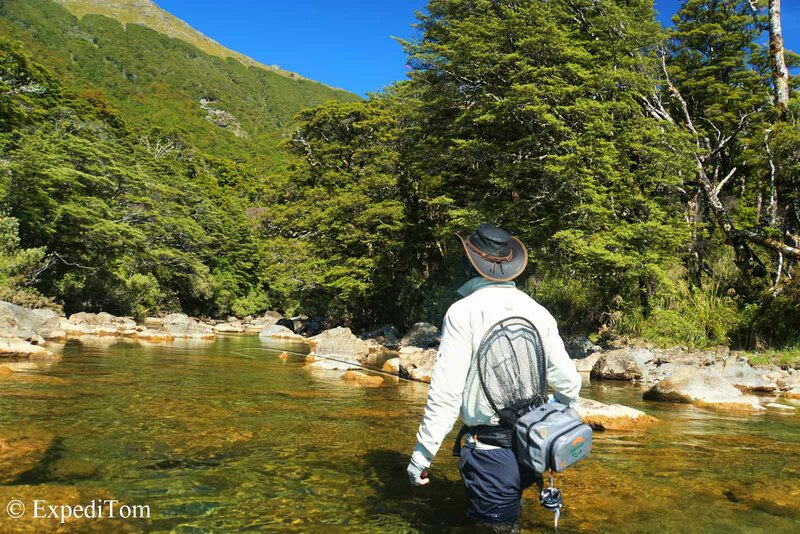 This introduction to fly fishing New Zealand covers every aspect you want to know before you go. You are welcome. 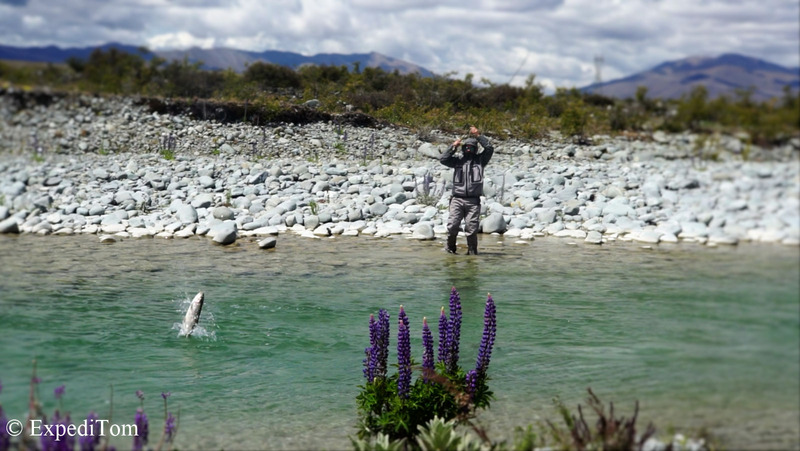 New Zealand is the dream destination of many fly anglers all around the globe. 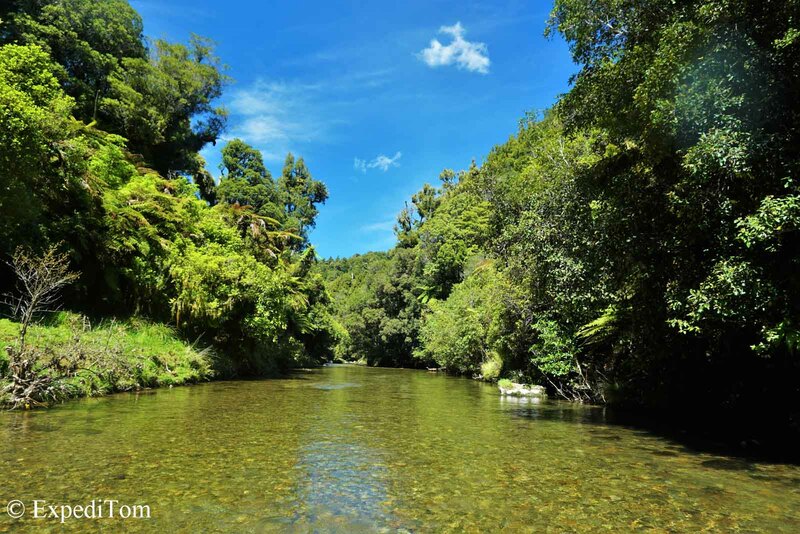 The reason why so many of us want to go there are the huge trophy sized trout in crystal clear creeks in the pristine wilderness of New Zealand. 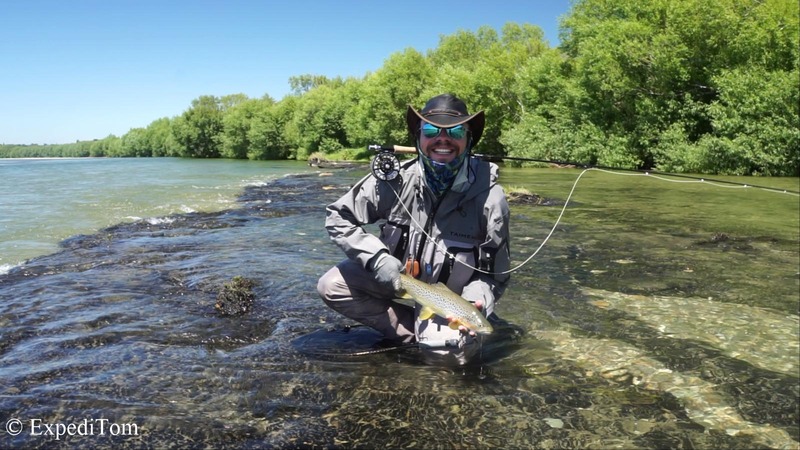 However, there is not just an abundance of 10+ pound trout every few meters as some videos might suggest, but you rather have to earn your catch by hiking and searching (check out the video above). Having said this, it is not only because of the fish, but rather the whole experience from venturing into remote valleys with no mobile phone connection and to be fully absorbed into the gorgeous surrounding. Excluding the sandflies as well as the high UV intensity there is not much I would change in terms of fishing experience. 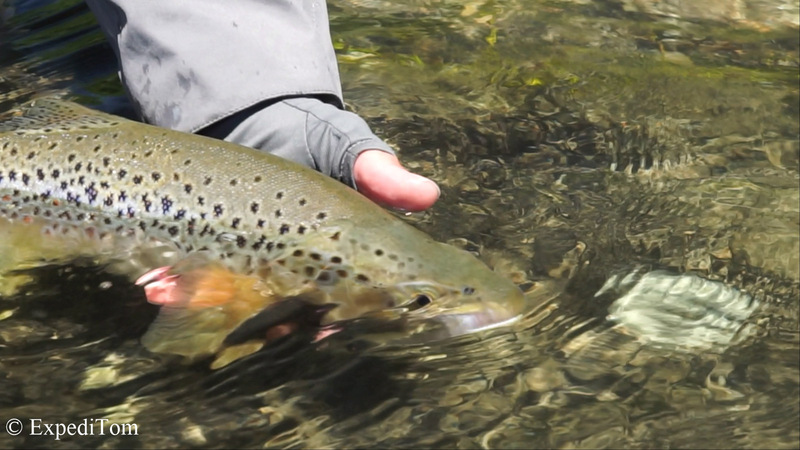 Despite these two minor issues, fly fishing in New Zealand is just as good as it gets. 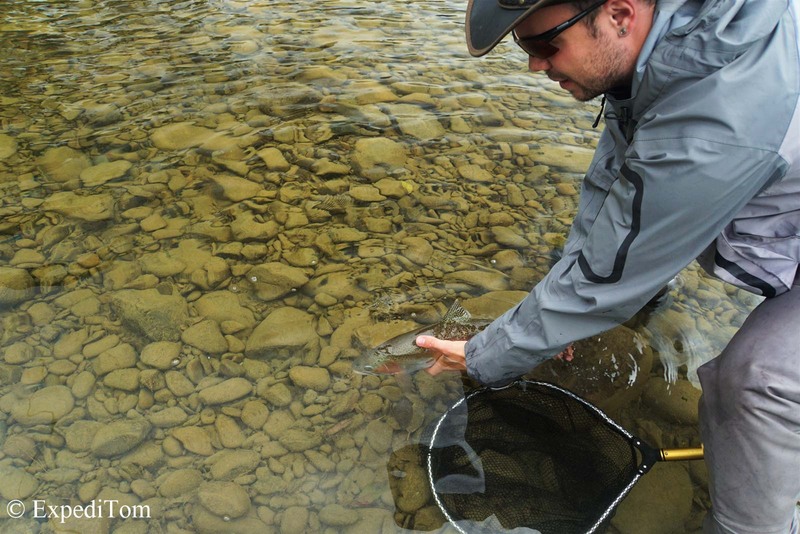 Catch and release is widely practised, which supports a healthy sustainable population of large trout. However, it is not as easy as it might seem to catch a trophy trout. Thus, I have put together the information I would have liked to know before I went there. 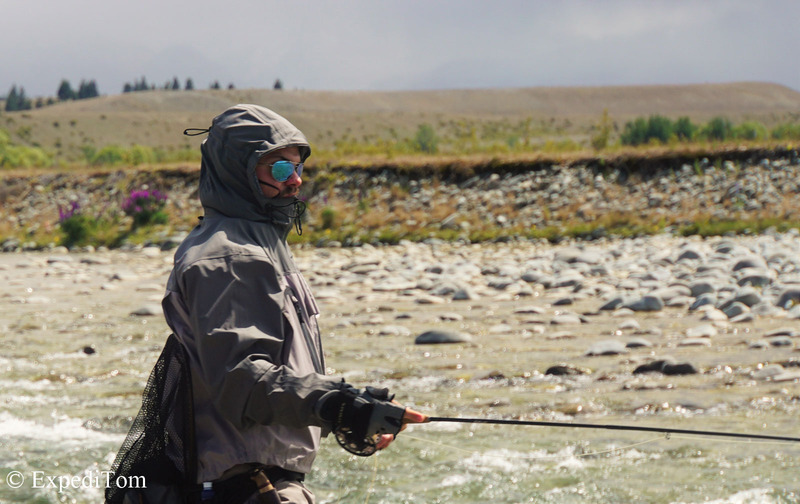 There are various ways to go fly fishing in New Zealand in terms of comfort and price range. On one side of the spectrum are the fly fishing Lodges such as the Owen River Lodge which are luxurious. Generally speaking, people staying in a lodge are the ones who can afford going by helicopter into the backcountry. However, I have never put a foot in a lodge and probably never will unless someone would invite me – anyone? On the other side of the spectrum are the self-organised fishing trips where you hike into the backcountry and stay in a tent. Between these two poles everything is possible depending on how adventurous you are and the size of your wallet. In my case, I was rather on a budget and love to stay outdoors as much as possible. From time to time, I enjoyed to sleep in a reasonable prized fishing accommodation like the Tongariro River Motel. The point I want to stress is that I will rather focus on the self-made outdoor fly fishing trip in New Zealand than a posh stay in a lodge. Moreover, this post focuses on trout fishing and leaves alone salmon and saltwater fishing. For further inputs on that head to my personal advice section down below. Due to the long period of isolation, New Zealand developed a distinctive fauna and flora, which can easily be disrupted by the introduction of foreign species as the possum and didymo drastically have shown. Whereas possums threaten the national animal the kiwi bird, the algae Didymo has a detrimental impact on insects that are the primary food source for trout. Therefore, New Zealand implemented strict biosecurity rules to avoid further threats to their environment. Among them are some important rules for entering New Zealand with fishing gear. In a nutshell, you are allowed to bring used fishing gear, provided it is clean and dry. Wading boots with felt sole are banned in New Zealand. In the Airplane to NZ you will be asked to fill in a form where you have to declare anything that might cause an environmental threat. If in doubt declare it. For all regulations head over to the Ministry for Primary Industries where everything is pointed out in detail. Additionally, the pamphlet of Fish&Game about Check, Clean and Dry emphasises again the importance of checking, cleaning and drying your gear to avoid bringing pests to New Zealand. It is the interest of every angler to observe these rules and clean our gear as well when changing from one river to another in New Zealand! Given that New Zealand is in the southern hemisphere, the seasons are mirrored. During summer of the northern hemisphere New Zealand has winter. On the other hand while Europe and North America experiences the cold months from December to February, New Zealand enjoys its summer. Needless to say, spring and fall are changed as well. Owing to the fact that the seasons are different it comes as no surprise that the fishing season changed too. The trout season opens on the 1st of October and ends with the 31st of March. Having said this, there are several considerations to be taken when to visit. Although, it depends mainly on your personal preference. As a rule of thumb the earlier the season the less anglers have visited the fish yet. Therefore, the trophy trout are not yet as vary as they can be. In addition, they feed eagerly after the cold months with less food. However, in October I experienced flooded rivers, murky water and not very stable weather. Thus, it is a bit of a lottery. (Note: rivers can be flooded in New Zealand throughout the year). From December to February is high season for fishing in New Zealand. The summer months see not only the most fishermen but also the cicada time begins. These large insects become the favourite prey for trout and can lead to star hours at the water. Yet, many foreign anglers may make it necessary to have a plan B for fishing another river due to the high fishing pressure. Many lakes and some rivers, are open for fishing all year round. Among one of them is the famous Tongariro river in the middle of the North Island. 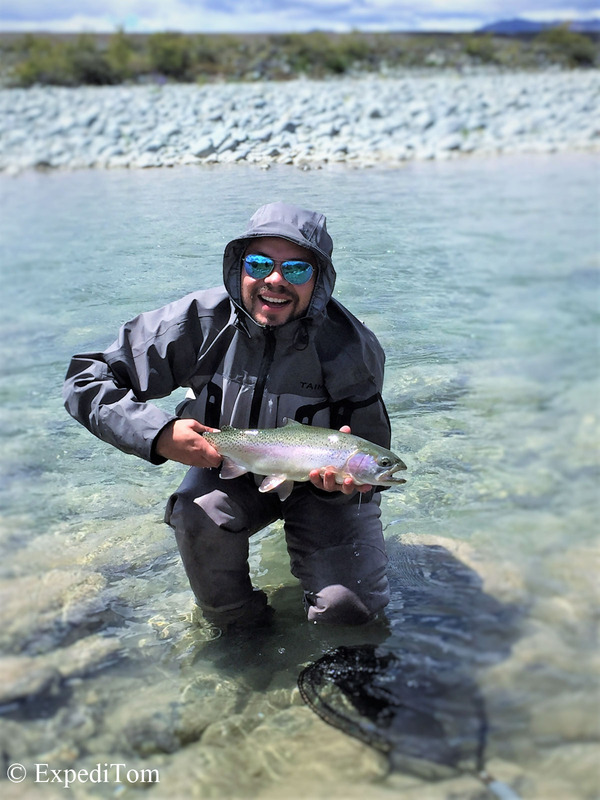 The region around the huge lake Taupo has not only its own fishing license, but also a distinctive run of lake rainbow trout with its peak around August. For detailed information about the Tongariro river with daily information head over to Ross’s homepage of the Tongariro River Motel – a great place to stay by the way. If you are on a budget, it would a good idea to save on the air fare by visiting NZ in the Winter months of August. The fishing for sea or lake run browns is magnificent. Furthermore, guides and accommodation is cheaper too. You will miss out on some superb fishing if you only focus on the summer months. Fishing is possible in New Zealand all year round, yet prime time is from December to February but it is up to your preferences when to visit. I use the division of New Zealand in different fishing regions from www.nzfishing.com and comment on the one’s I fished or want to go. The Northland, not being mistaken for the North Island, is the part north of Auckland. I have not extensively fished there because it does not offer that spectacular fishery NZ stands for. However, this judgment is based only of fishing one river, which might be misleading. So if you are in Auckland, I would rather look for fishing further South. The Auckland Waikato Region offers diverse variety of fishing. From spring creeks to large slow running rivers. I preferred the gin clear spring creeks even though they generally do not produce that large fish. However, they usually outnumber the larger rivers in fish by far. In the eastern Rotorua region I have only fished once on a weekend trip with the Auckland Freshwater Anglers Club. 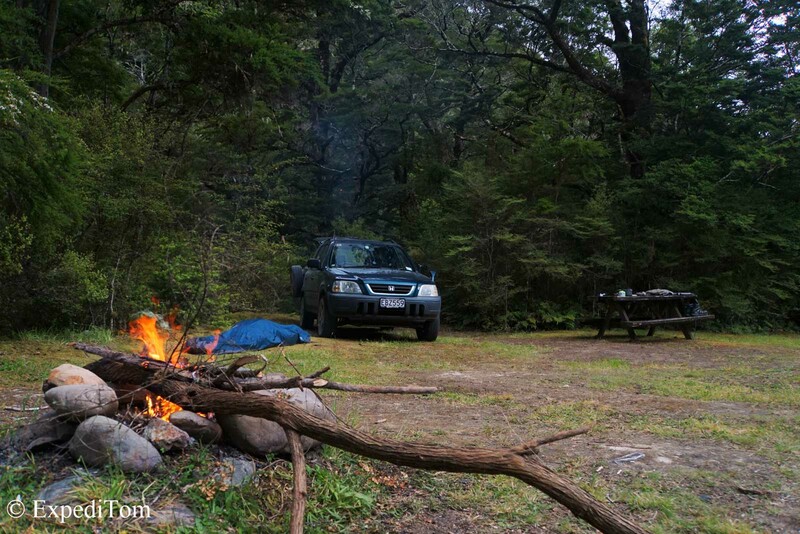 We stayed at the Wairata Station in the Waioeka Gorge where we fished the namesake river over 3 days. I loved the wilderness and the trip was a highlight on my entire visit to NZ. Not only because of the camaradery, but also because I caught the largest trout of the trip in a small tributary. Thus, I have received some flies from the club. Moreover, as far as I am concerned Yoshi from the Totally Fly shop repeatedly catches trophy sized trout around the lake Rotorua in small tributaries. The Taupo/Turangi region needs its own license. It offers splendid fishing around from June to August when the lake run rainbow trout swim upstream for spawning. 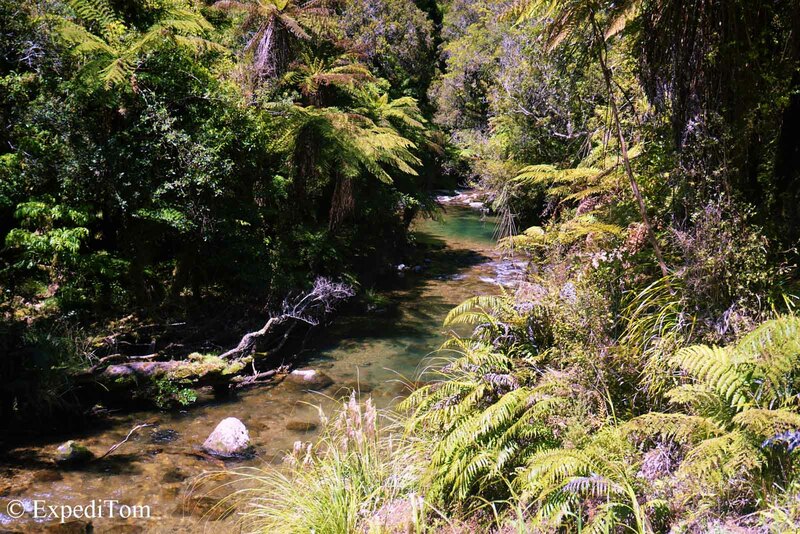 The Taranaki region offers some gorgeous backcountry feeling in national parks. I fished twice there, but I lack an adequate knowledge of this region. However, there for sure are some gorgeous streams. This is one of my favourite places to be. If you have ever seen a fly fishing movie by Gin Clear Media on backcountry fishing in a lush green jungle with massive fish, this was likely filmed here or in Fjordland (where I was not so far). 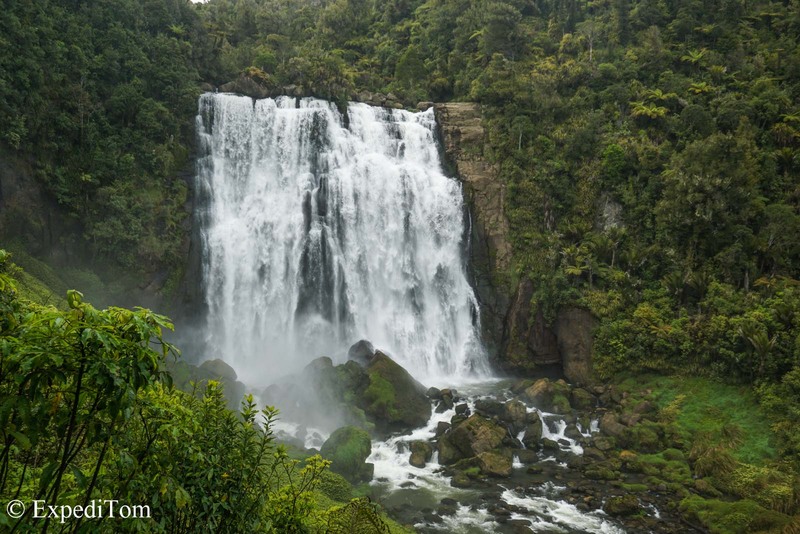 Whereas the Marlborough region offers magnificent fjords and several movie locations of Lord of the Rings, the Nelson region reaches into some amazing national parks which offers the ultimate off-the-grid feeling. I have not fished in Southland but it is on my to do list for the next adventure in New Zealand. Particularly Fjordland was such an amazing place that I would have loved to fish but did not find time. I wish I could have spent more time here but definitely will be there again. Famous for producing the largest trout in the world in the hydro power channels, there is much more to find. I loved the scenery amidst the majestic Southern Alps as the mountain range is called and there are some little gems to explore. It is not unusual to experience 5 seasons within one day and there is a reason why the vegetation is lush green – heavy downpours. 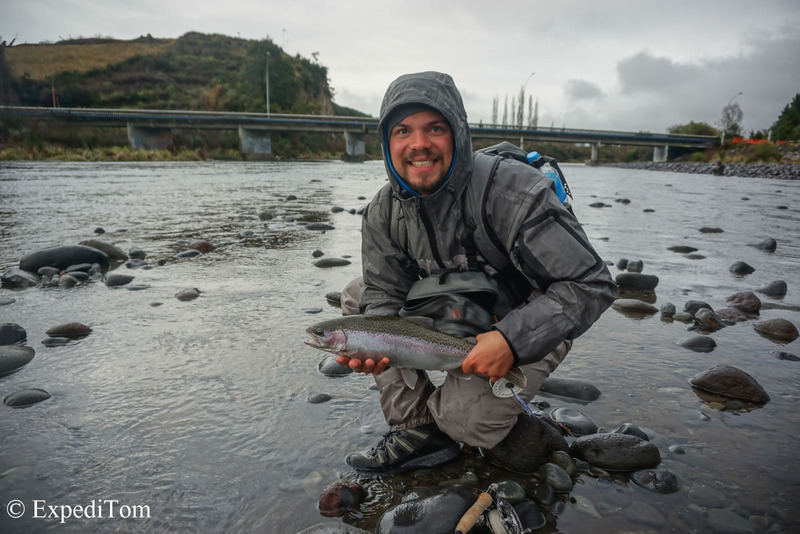 Therefore, a reliable rain jacket is a must on every fishing trip in New Zealand. Moreover, Southerlies (wind from the south) can bring cold air from Antarctica and result sometimes in snow in the South Island even during their summer. In general, the weather is rather cold than the tropical looking vegetation promises. Having a look at the average monthly temperature through the year shows this. However, if the sun is shining it can get quite hot. Additionally, due to the closeness to Antarctica and the Ozon hole the UV intensity is immense. Even when cloudy you can easily get sunburnt. Subsequently, it is absolutely necessary to put on sunscreen daily and cover your skin wherever possible. It is not a religious thing that most anglers in New Zealand cover their whole body with some fabric. If there is one thing I love New Zealand more than its beautiful nature, it is the straight forwardness of their fishing regulations. There is one fishing license to fish almost the whole country, which you can obtain here online. What is more, the license for a whole year costs as less as NZ$ 169. The only other region which requires an additional license is around lake Taupo. As far as I know the reason why it is separately organised is that Maori, the indigenous people of New Zealand, get at least partly this money. You can buy the license for the Taupo region here online. In contrast to the national license, which is for the entire season it is possible to buy a day or week license, which is useful if you plan to stay only for a limited period. Certain rivers in New Zealand have the status of being a backcountry rivers. For instance, the Aorere close to Collinwood. These rivers require an additional piece of paper called backcountry license endorsement that allows you to go there. Luckily, this backcountry license is free of charge and you only need to apply for it online and print it out. 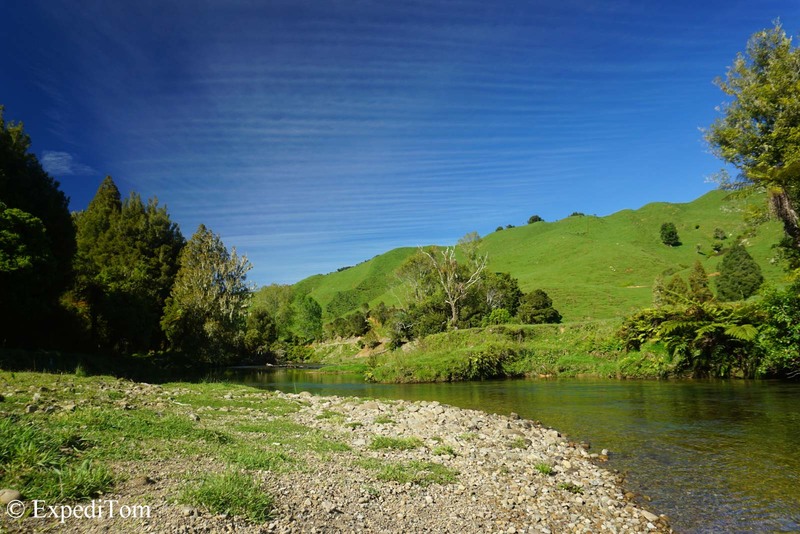 You can see whether a river requires a backcountry license or not on www.nzfishing.com. I suppose Fish and Game, the head of fishery in New Zealand, just wants to know how many anglers are fishing in the backcountry. Here is brochure with the regulations summed up. Furthermore, there are some rivers with restrictions on the number of anglers fishing a particular stretch – so called beat. This is for example the case for the Greenstone river in prime time from January to February. This is useful because it allows to experience the backcountry feeling even in a heavily fished rivers. In the case of this river, one has to apply online for a specific date. Another way to reduce numbers of anglers for a river is practised on the Oreti river, where a parking lot with 3 spaces indicates where someone is fishing. So be there early! 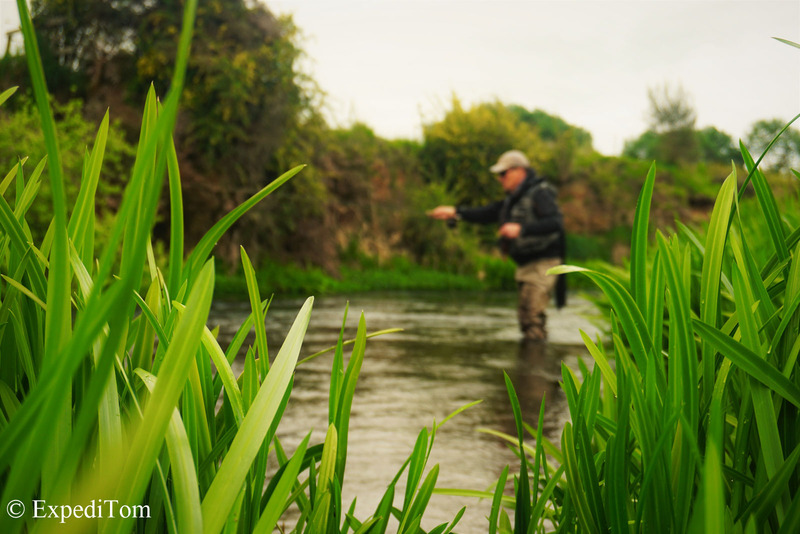 One particularity of fly fishing in New Zealand is the angler access to rivers. Although everyone is allowed to walk on the riverbanks, the way to them is not. Many rivers have signs which show were anglers are allowed to cross land. Yet, some rivers require that you ask the owner for permission. Usually they allow you to cross their land but some might deny or have some obligations. When I asked Mr. and Mrs Barker for permission to cross their land to the Awakino river they just wanted no dogs nor any hunting on their land, but fishing was fine. Concerning dogs, they are not that popular in NZ because they kill endemic species such as the national animal: the kiwi bird. Moreover, the long flights to NZ are not thoo suitable for dogs either.Therefore, I think, you should rather leave your fur baby at home. – Obey to the rules. A few rivers have certain beats depicted and are meant to avoid fishing behind someone else. – join a local fishing club if you are stationary for a while. I joined the Auckland Freshwater Anglers Club because the language school bound me to Auckland. – go with a guide first – you will learn lots. – For more Saltwater Fly Fishing Aitutaki is only a stone’s throw away from New Zealand and offers world renowned bonefish fishery. Check out E2’s website – the local guide. Here is a list of some guides from New Zealand who I more or less know and am convinced of their positive reputation.